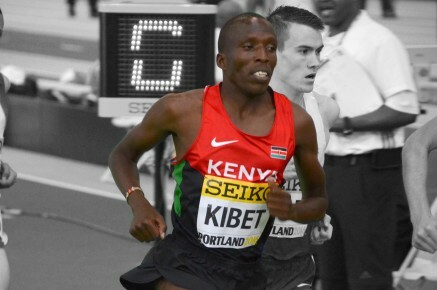 6th February 2018 – Sometimes in athletics it is about taking opportunities when they present themselves to you and at the latest IAAF World Indoor Tour event in Dusseldorf Vincent Kibet (KEN) did just that. Vincent had run an excellent race in the men’s 1500m and was still well in contention as the runners approached the final lap, sat in third place just a couple of strides behind the leader and gearing himself up for a big finish. However, with just over 100 metres to run the two athletes ahead collided causing them both to fall to the track. Vincent did well to side step them and regain his balance before being left in the clear to move away for ultimately a comfortable victory. Not the way he would have planned it but fair reward for Vincent who has been working very hard in his preparations for this indoor season. Training partner and good friend Bethwel Birgen (KEN) almost matched Vincent but was just edged into second place in the 3000m. His second clocking of 7:40 in three days though shows the good shape he is also in. Two other athletes who ran their second races in three days were Winny Chebet (KEN) and Andrew Osagie (GBR). Winny collected more tour points by finishing in third place in the women’s 1500m and Andrew was seventh in the men’s 800m, less than one second behind the winner in a very competitive race.